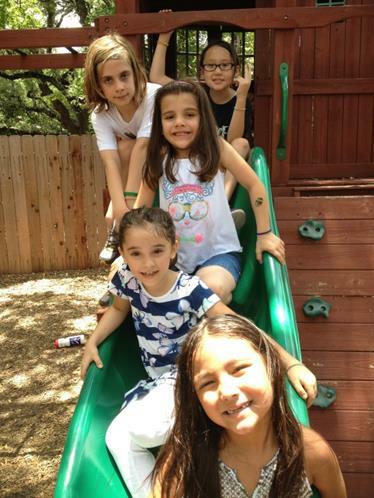 French School of Austin French program is designed for students who start their full-time French education at a preschool level and fluent in French by the sixth grade, and wish to pursue the French Middle school program. This rigorous system was established in the 18th century and is following the guidance of the French Ministry of Education. All classes are taught in French with the exception of the English course. The French system is built on a somewhat precise sequence of learning tasks and it becomes more difficult to enter the French program as the grades advance until it is virtually impossible to enter this program in later Elementary or Middle School level. This does not prevent students of any background who begin early enough from entering the French Program. Some of the students who scores best in the French Baccalauréat are those who have come from English speaking households but have been in the French system since preschool. All students are tested with American standardized tests yearly as an assurance that the program is relevant to students who are planning to transfer in American middle or high schools, colleges and universities. [Updated programs and teaching directives are published several times a year in the Bulletin officiel de l’éducation nationale, de l’enseignement supérieur et de la recherche (B.O.) and is used as a teaching reference by all teachers of French Schools worldwide, and extensively used as well at French School of Austin]. Preschool level in the French system is called Cycle 1 or “cycle des apprentissages premiers” which combines the three, the four years old and Kindergarten program. Depending on the school year, Kindergarten level may be combined with the preschool level to complete a full three years cycle level. Following the guidelines of the French Ministry of Education, our students are 100% immersed in French all day Monday through Friday, in the 3 and 4 years old program. This full French immersion is essential for our students to build strong language, cultural and academic skills preparing for a rigorous French elementary program. The curriculum combines the renowned and rigorous French preschool program with Montessori tools covering practical life, reading and writing materials with many “pre-Montessori” materials that are typically used with this age group even in non-Montessori settings (puzzles, stringing beads, etc…). From the very first day of school, the French teacher addresses the children in French. Children quickly learn the meanings of common words and phrases, as they begin to use these familiar terms themselves very quickly. Knowing that listening comprehension develops more quickly than speaking ability, children will adapt very easily to the French atmosphere of the classrooms. By the end of the first year most children readily understand the French they hear every day and they begin to speak permissions and communicate well with their teachers. By kindergarten, with the addition of reading skills, most students become fluent. In Kindergarten, each subject and every activity are linked to the others. Rather than arithmetic, science and language being treated separately, the curriculum focuses on general concepts, and four French domains such as logical thinking, which incorporate something from each Montessori subjects and field. Using the Montessori tools, the curriculum helps create an enriched environment where freedom, responsibility, social, and intellectual development spontaneously flourishes. Calm and serene colors will be evident in the classroom and everything is designed with the toddler in mind. The preschool classroom will meet the children’s needs for calmness, beauty, security, order and learning. In a “Prepared Environment”, the child can easily focus on the shelves that are prepared with activities designed to meet the child’s interests and budding competencies. These activities encompass vocabulary building; sensorial stimulations with sound, touch, smell and sight and practice with eye/hand coordination. The student’s days will be filled with love and encouragement. At circle time the students will learn not only to sing songs but they also learn to sign some of the French Alphabetic and Phonetic Sign Language. Story time, art activities, cooking and outside play are usually a part of a preschool life. The children participate in table cleaning along with learning to sweep and wipe spills. Social skills are emphasized daily as is verbalizing their wants, needs, likes and dislikes. Great attention is given to helping the children identify their feelings and express them appropriately. We know that your child will greatly benefit from the loving, encouraging environment that is prepared just for your child’s needs and absorbent mind. Preschool classrooms are filling quickly and we give priority to our students and their siblings, so contact us as early as December or January to see if we are a good fit for your child, and to reserve a spot for your child. Many modern neuroscientists have come to the same conclusion as Dr. Montessori, that it is in the first three years of life the brain absorbs more information that at any other time. Research has shown that “bilinguals often outperform monolinguals on nonverbal tasks that require resolving conflict from competing alternatives”, develop a process of “neural commitment”, and do better academically. Grade 1 and 2 are called in the French system Cycle 2 or “cycle des apprentissages fondamentaux” (First Cycle acquisition of fundamental skills). A combined method approach based on research concluding that different people learn to read in different ways, and perhaps some of us learn in more than one way. They are taught to write in cursive and to read all written forms. Language skills and oral expression are high priorities. A significant part of every school day is devoted to reading, poetry, creative writing, formal composition, speech and spelling. Our teaching of Mathematics is one of the point of pride for our Program. : Following the French System, our primary Years students are early exposed to a wide range of mathematical concepts: geometry, addition, subtraction and multiplication, algebra, fractions, the decimal system, etc. Each year these mathematical concepts are expanded and students’ comprehension deepens. Logic and expression are always prioritized. Calculating the correct answer is not sufficient; a student must explain how the answer was obtained, and why. Logic and the ability to articulate one’s reasoning are emphasized in every grade and field. Multiple-choice and true/false questions are virtually nonexistent. In all subjects, students are required to develop answers in thoughtfully organized essay form. A Math proficiency test has shown that our students to be up to two years in advance than some of their peers. The students learn study methods which they will use through high school and later in university. The language Arts and Literature curriculum focuses on a full range of writing experiences, a broad spectrum of literature, and the refinement of oral and presentation skills. Skills are developed through the study of the literature and cultures of early civilizations, as well as through folk tales, ancient myths, novels, poetry, historical texts, and media articles. Starting Grade Four, Five and the beginning of middle school, a focus is on mastering the narrative mode. Descriptive, persuasive, and informative modes are generally studied. Students continue to do major research papers. Through written and oral reports, they practice grammar and writing skills, and develop confidence in their speaking abilities. Our primary objective is to develop critical thinking and communication skills, and a strong interest in Literature. Discover the World is a French subject taught in Cycle 2, as a perquisite to the upper classes subject of History and Geography. It combines two modules; Space and Time. Students of Grade 1 and 2 develop important skills in time and space knowledge, about and around the world. These important skills are constructed from simple situations of everyday life along with near and known environment to a larger scale. Students conduct investigations about time and space that lead them to describe their observations and master a scientific vocabulary essential to the upcoming courses in Grade 3 and up. Following ‘Discover the World’ Module, this course combines the two disciplines; World History & world Geography. In history, students are expected to understand the purpose of knowing history and develop a worldwide appreciation of culture, religion, law, social structure, and politics. History starts with the study of History of Space & Time and in Grade 1 and 2. History Lessons begin with a study of pre-history and early man, continue through ancient civilizations and extend to our twentieth century world. Geography lessons focus on themes: physical and climatic characteristics of the world, human environment and interaction, migration and population, and regions and diversity in landscapes. The aim is to give students the keys to understanding the contemporary world by studying its historical heritage and its modern geography. The French teaching of science in cycle 2 called also “Sciences Experimentales” lays a scientific foundation for the upper levels in the subject. In lower elementary levels, the teaching of experimental sciences and technologies teaches students to be responsible towards the environment, the living world, to health. In cycle 2, in combination with the study of space and time, the teaching of science uses an investigative approach based on 50 questions and hypothesis covering air, water, the living world of plants and animals, energy, matter, objects, electricity and the human body. Later on, in cycle 3, the French teaching of science introduces the classes to more advanced experimental sciences and technology. Visual Arts: An important part of our French curriculum is dedicated to the teaching of the Arts. From preschool, students are exposed to a wide range of art forms from collage to learning about a specific painter, sculpture etc.. From Cycle 1, students focus on the study of the Arts of the Daily Life. In this course, through a wide range of projects using different tools and materiel, students learn about painters, sculptors, plastician artists, who had the power to capture momentary quality of everyday life such as Caillebotte, Munch, Dubuffet, Matisse, Modigliani etc…The study of the Arts deepens in the upper levels in elementary and middle school levels with the additional study of the four Art modules: Arts of Space, Arts of Sound, Arts of Language, and Arts of the Live Show. History of Arts: We believe that the teaching of Art offer rich means of broadening our students’ experience and help shape their perspective on a wealth of subjects. For children, learning about Arts helps develop their imaginations, and encourages their ability to think creatively. These benefits spread to other areas of the child’s mind, refelcting in greater problem solving and reading comprehension skills as well as better analytical thought processes. Our curriculum of History of Arts is divided six sections studied throughout the Primary years program. Middle School, called Collège in France, is a four-year course (Grade 6 to 9) that transitions students from a world of spending the day in a self-contained classroom with a single teacher, to a more independent and self-directed environment where they have a different teacher for each subject and may change classrooms several times throughout the day. Teachers are now experts in their field and lead students into discovering new content and new ideas, solving complex problems, and becoming more autonomous learners, ready for High School. 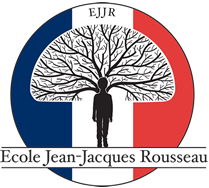 Ecole Jean-Jacques Rousseau offers a Middle school level until Grade 8 and not through Grade 9. The additional courses taken at Middle School Level are physics & chemistry, Latin and intensive second foreign language classes. The years of Middle School are organized into three Cycles. Grade 6 (Sixième or 6e) is the Cycle of Adaptation: it initiates students into the workings of Upper School and ensures continuity of learning from Elementary School. EJJR Grade 6 students take more intensive classes in their second foreign language (Spanish or Arabic). Grades 7 and 8 (Cinquième or 5e and Quatrième or 4e) are the Central Cycle: students deepen their knowledge and know-how; physics- chemistry enters the curriculum; discussions of professional paths and training start; and students have the option to begin studying Latin in Grade 7. Grade 9 (Troisième or 3e), not currently offered at Ecole Jean-Jacques Rousseau is the Orientation Cycle: this year allows students to build on what they have learned in Middle School and prepare for the Lycée (High School) years in which they will do more specialized work. Students follow the French Ministry of Education’s mandatory coursework, which is complemented by courses in English for language arts, and U.S./Singapore math. The program is challenging and requires a real commitment. Coursework can include up to 11 different subjects per year, ranging from art to life sciences. The objective of the French academic program is to ensure that all students have a well-rounded education. This gives them the building blocks to make choices in High School for more advanced studies.